Maria's berth off watch while we are at sea. Doesn't this look comfortable? 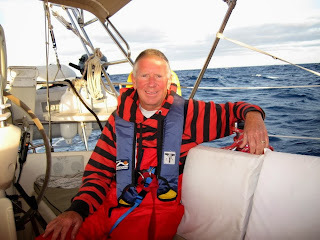 Captain Steve not enjoying sailing in temperate waters! It is cold out here and this is during the daytime. You should feel how it is at night - COLD! Atlantic seas. You can't see the horizon because it is below the 9 foot roller coming behind Aspen! 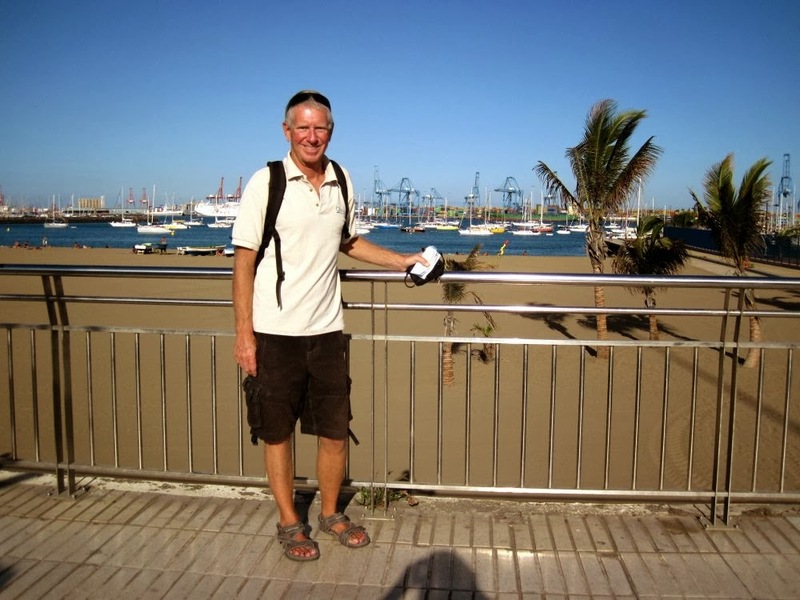 Landfall at Las Palmas de Gran Canaria at daybreak! An offshore drilling rig we passed in the harbor. 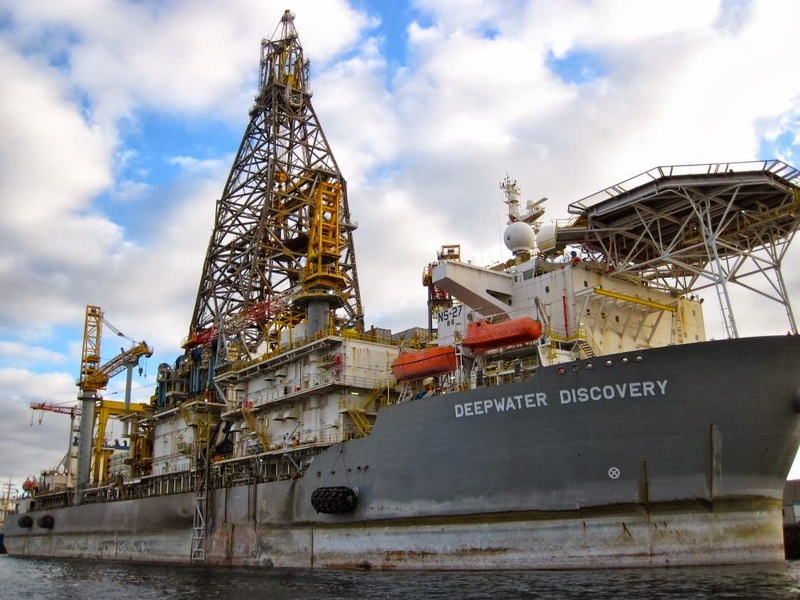 I think they might have drilled my last well?!? 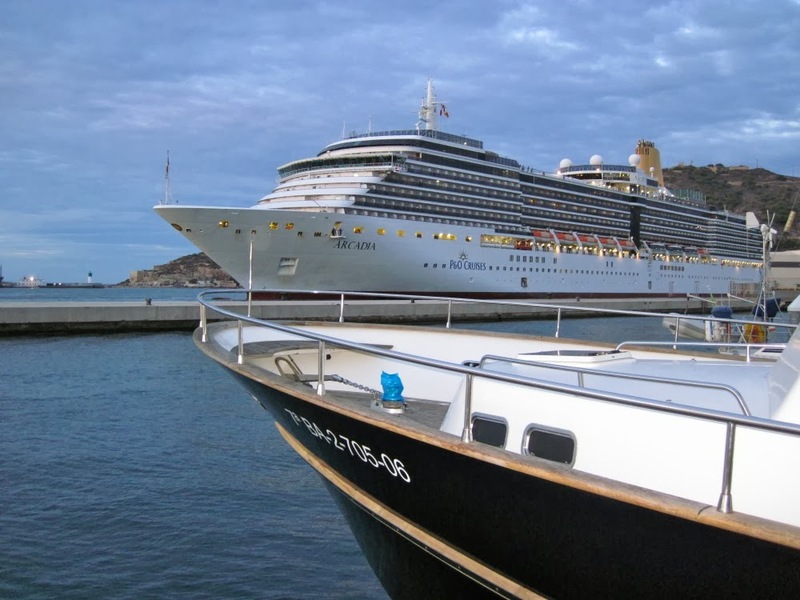 The anchorage and beach at Las Palmas de Gran Canaria. 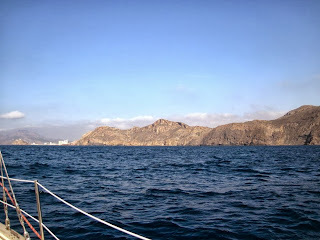 We are in the marina and not the anchorage, just to the right side of this picture. We sailed south along the coast of Africa. 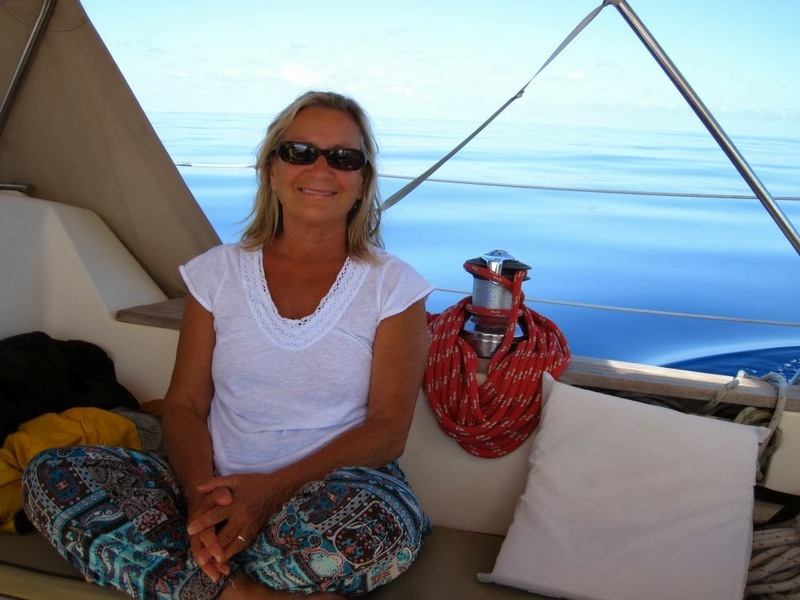 Sailing south on the coast of Africa??? Could we ever have imagined anything like this when we were kids? Never. But here we are! Sure the greats like Columbus and Magellan sailed here but they were sailors. Oh, I forgot, I imagine we are sailors now too! As Jimi Hendrix used to say, it kind of blows our minds. So many places on the dark continent roll along with Aspen's wake: Tangiers, Casablanca, Timbuktu. Their orange glow lights up our horizon during the black of night and helps us find our way among the towering seas cresting all around us. The waves roar like freight trains before they reach Aspen, telling us to beware. Ahhh the seemingly endless ocean once again. We seem to have forgotten how unforgiving it can be out here! The admiral wrestles with the wildly pitching stove as she prepares great meals every day. I'm glad I am only the captain and don't have to deal with that! The voyage to the Canary Islands was challenging as you might expect in the Atlantic Ocean. 12-15 foot seas blasted Aspen but luckily they were on our stern. 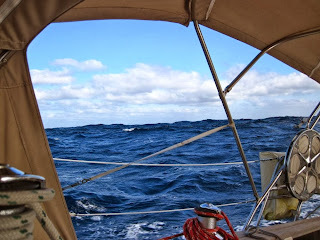 We had 40 knots of wind at times so the sail choice was critical to keep us out of trouble too. 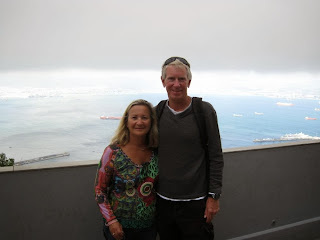 One stormy night on Maria's watch she saw a Celebrity cruise ship pass by Aspen less than 1 mile away. It was all lit up like a city and I think Maria wanted to have dinner onboard! 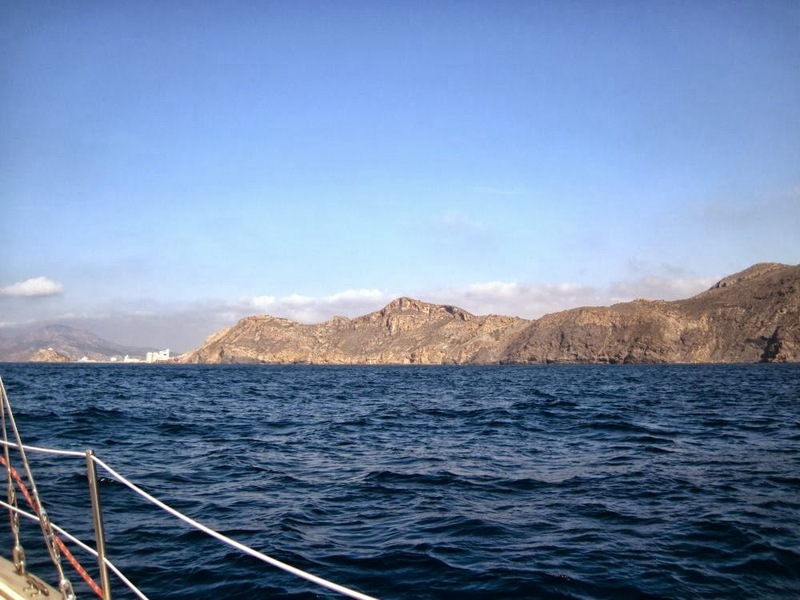 Exactly 5 days and 6 long hours after leaving the Pillars of Hercules we made landfall at Las Palmas de Gran Canaria. 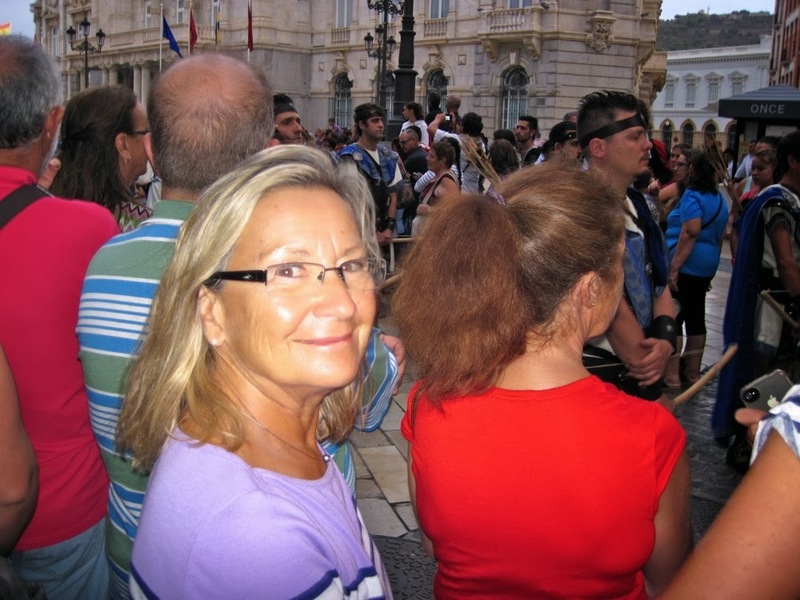 It is really good to be here! 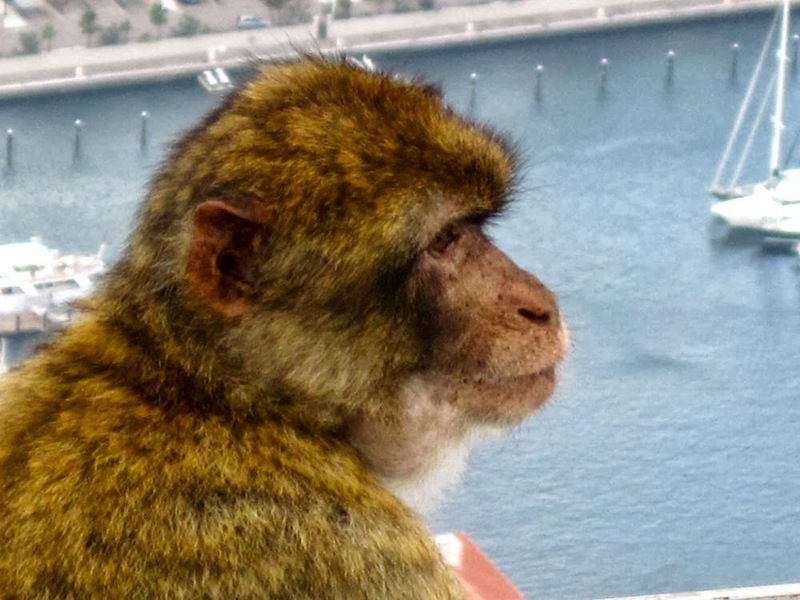 Gibraltar - "Nec plus ultra"
My favorite South American client! Their headquarters are in Spain of course. 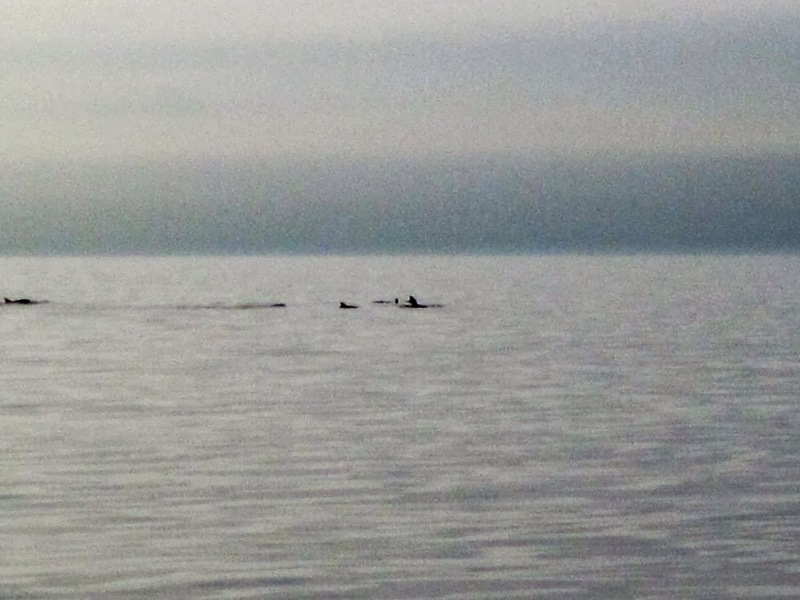 A pod of dolphins in the middle of the Mediterranean Sea. We saw these everywhere! 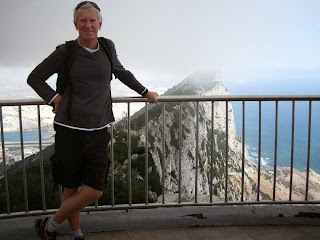 The Rock of Gibraltar at last! The Rock from our Marina at La Linea, Spain. 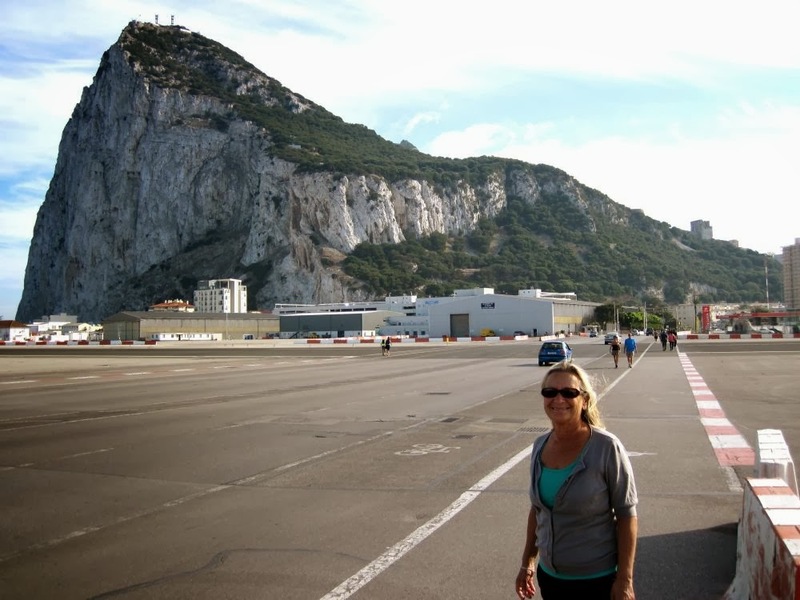 Maria crossing the active runway on the British side of the Rock! 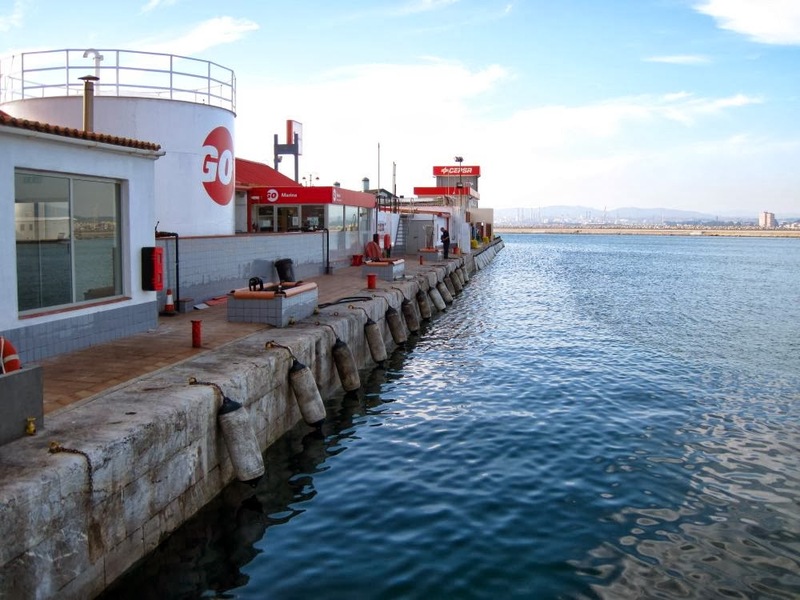 The fuel dock in Gibraltar. 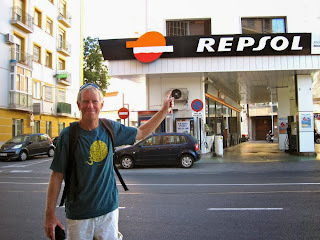 Fuel here is duty free and cheaper than anywhere else in all of Europe! 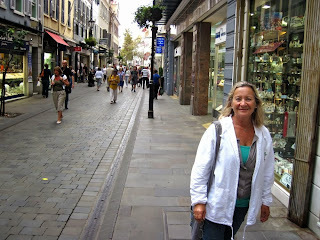 The shopping street in Gibraltar. Doesn't Maria look happy! 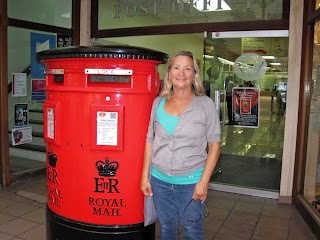 Official British post office in Gibraltar. 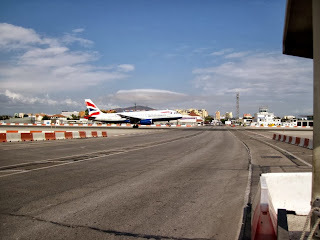 Yes it is an active runway! The view from high atop the Rock of Gibraltar! It was cold and windy at the top. You can see how windy it was! Stunning view from the Rock and out into the Mediterranean Sea. 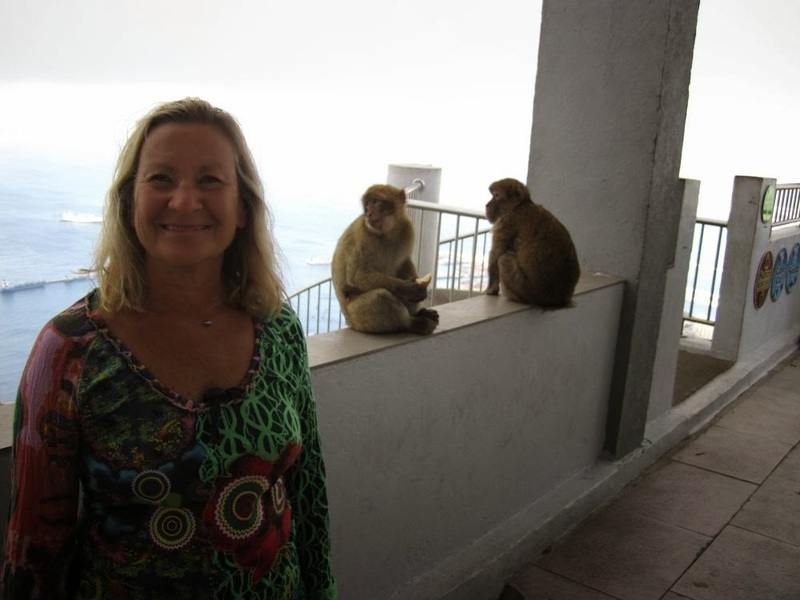 The famous Barbary Apes on top of the Rock of Gibraltar, and Maria too! That is our marina on the far wide of the runway. We love the breakwaters that protect us! British foods right on the waterfront in Gibraltar. Admiral Maria standing where Queen Elizabeth stood while walking on the Rock. We don't think the Queen walked all the way up! He has a nice view of the harbor from the Rock! 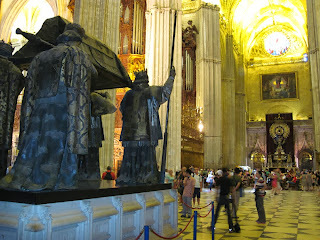 The tomb of Columbus at the Seville Cathederal in Seville, Spain. Wow! 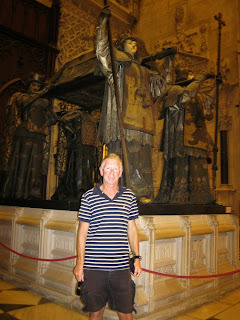 Part of the Seville Cathedral where the tomb of Columbus sits. DNA evidence says that yes this is Columbus. However, the Columbus tomb in the Dominican Republic also has a few of his bones. Just to make sure we saw all of him, we have visited the new world tomb too. Columbus continues to travel a lot even in death it seems! 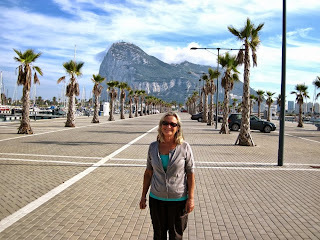 The Pillars of Hercules! We have arrived at last!! "Nec plus ultra", Nothing further beyond, a warning to sailors and navigators to go no further. These words are from the ancient Greek poet Pindar (522 BC) and repeated by Plato a few years later when talking about the Pillars of Hercules. Plato claimed that Atlantis lay beyond the Pillars of Hercules as well and we know what happened to them? 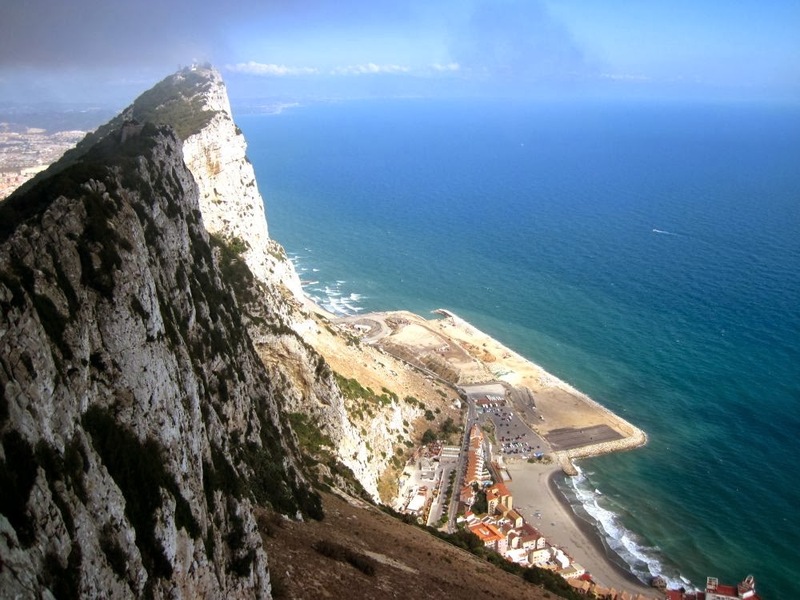 It was not acceptable nor wise to venture beyond the Pillars of Hercules, legend had it. We had a very uncomfortable 2 day sail from Cartagena. 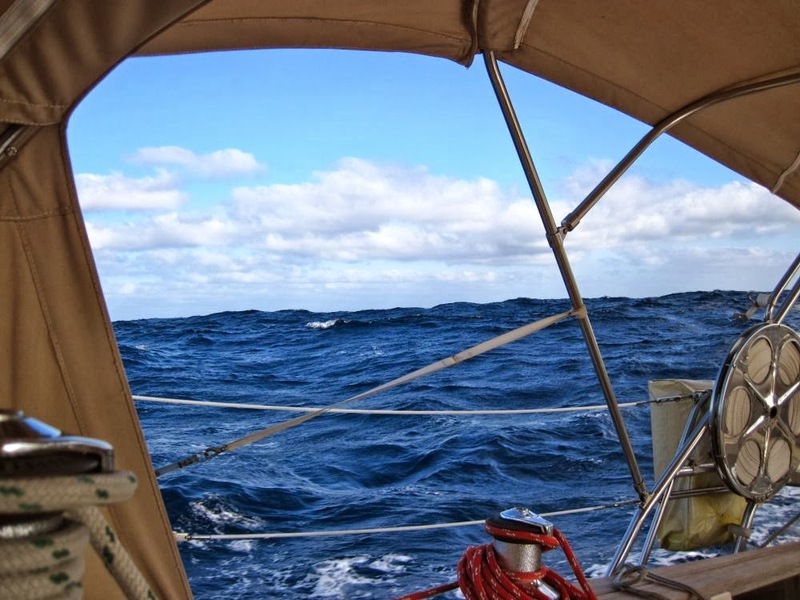 Tacking over 20 miles out of our way was necessary because of large seas and big winds. 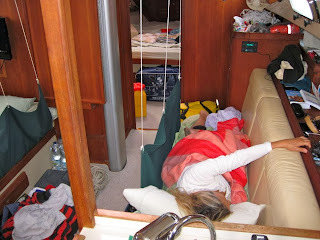 Eventually we arrived with more fuel this time but a lot more tired! Welcome to Gibraltar, welcome to England and welcome to the Rock! British fish and chips, the British pound for currency, English spoken (well kind of English since it is British) and Bobbies in the street. That's Bobbies, British police, if you were wondering. 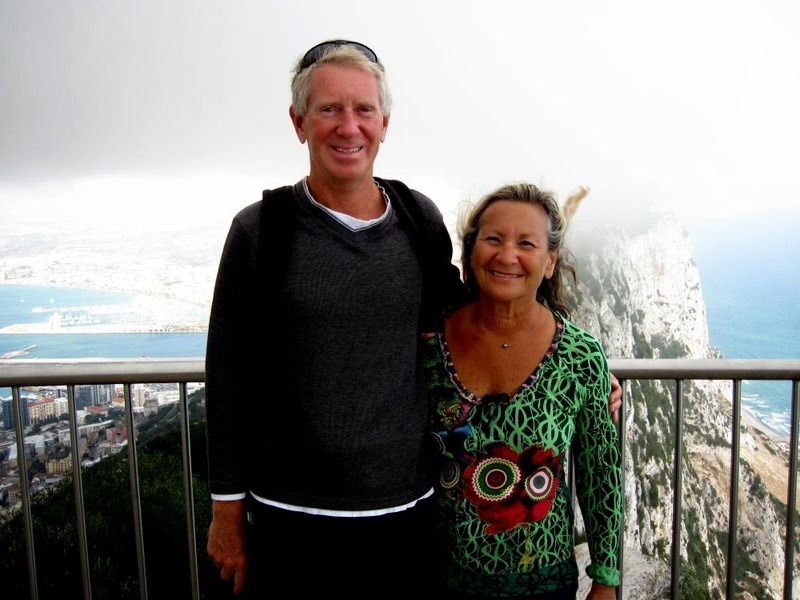 We tried to get a berth for Aspen at the Rock but the marinas were all full since it is high season for sailors in this part of the world. 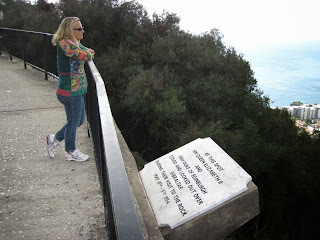 No problem, we just went 1 mile away and are still at the foot of the Rock but in Spain. 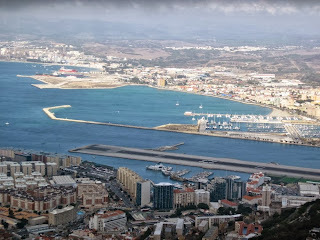 We are staying on the Spanish side of Gibraltar in a great marina called Alcaidesa Marina that is in the town of La Linea. 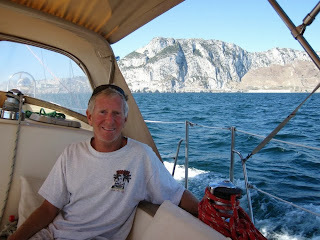 It is a huge marina with nice finger piers beside Aspen so we don't have to moor stern-to, the Mediterranean way. The prices are reasonable in Spain yet things change when we walk 10 minutes, clear customs from Spain and arrive in British Gibraltar on the Rock. 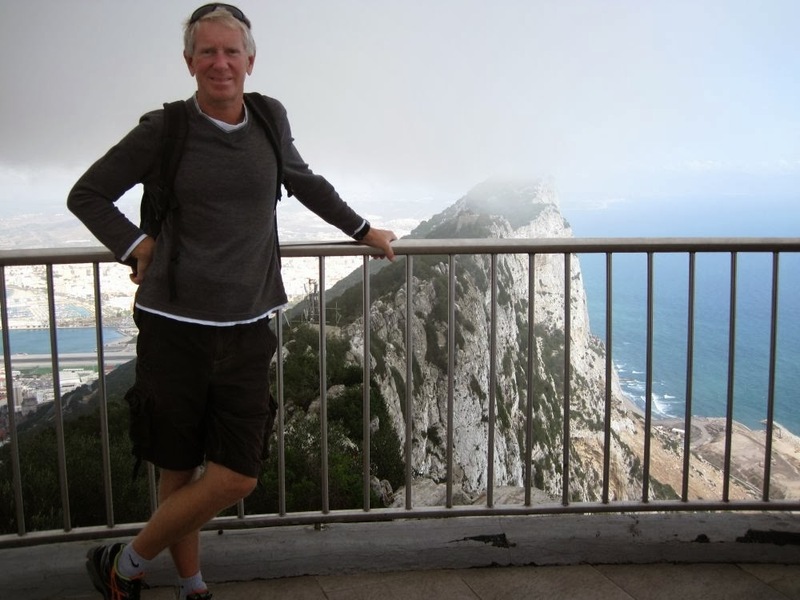 The view from the top of the huge limestone Rock was spectacular. Morocco lay to the south and monkeys played at our feet. On the way down from the top we had to stop at a pub of course for some nourishment. Pubs rule in the Rock and you are never a few steps from another one. 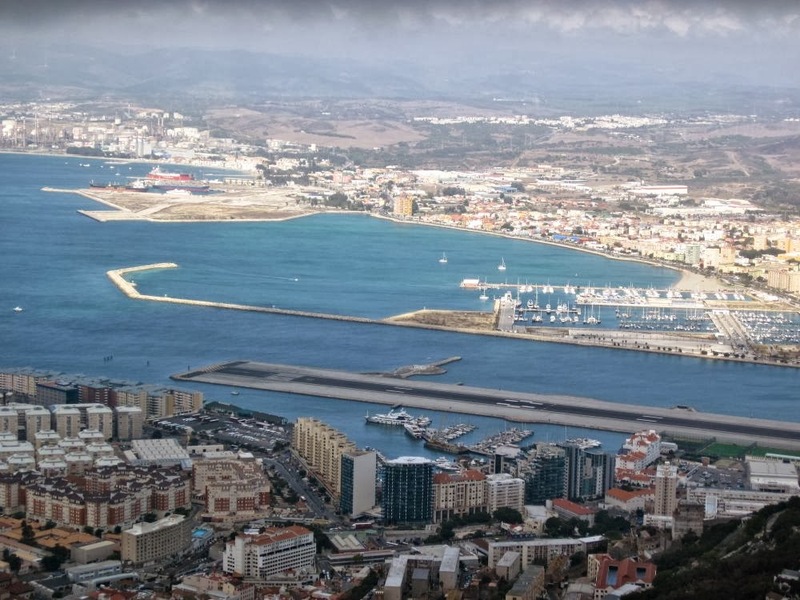 Each day we troop across the flat expanse of land and across the active international runway separating the Rock from mainland Spain, along with a few thousand workers. 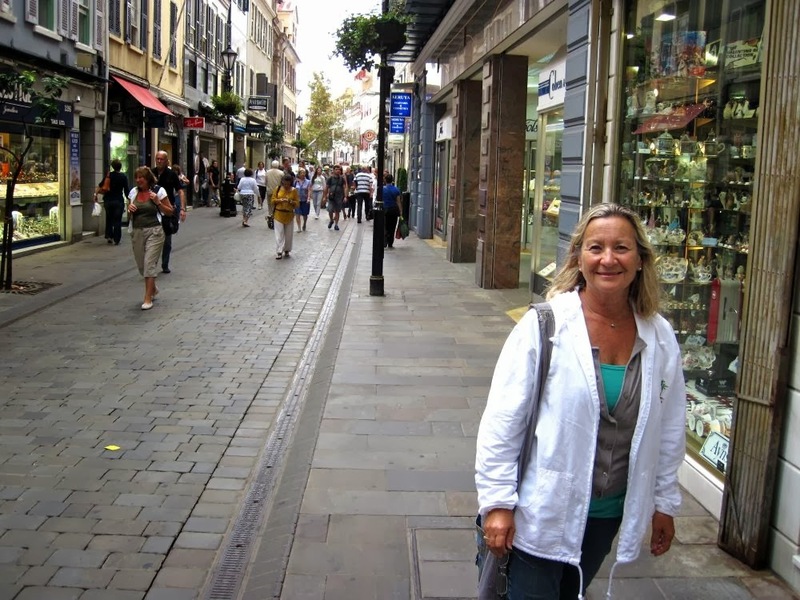 Spanish and British make the walk every day to work in the Rock. 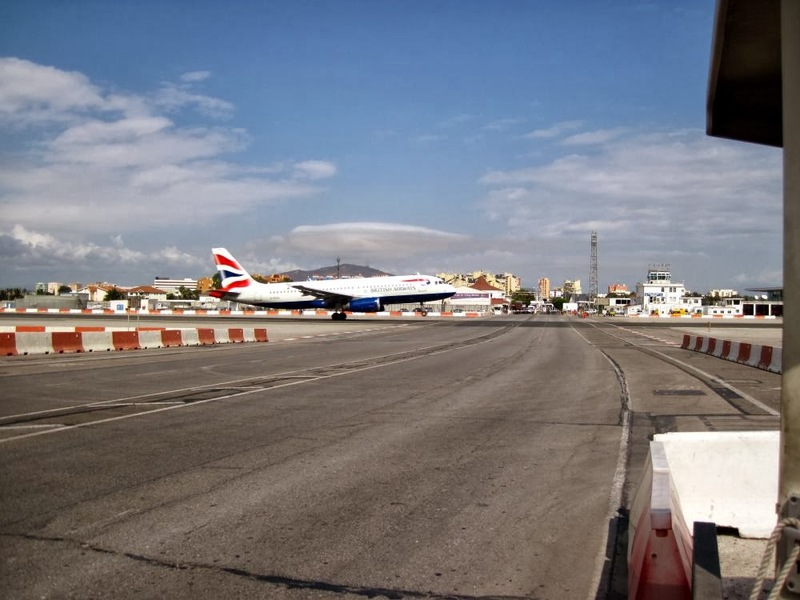 Some drive but walking is much quicker because of the security and customs check points. 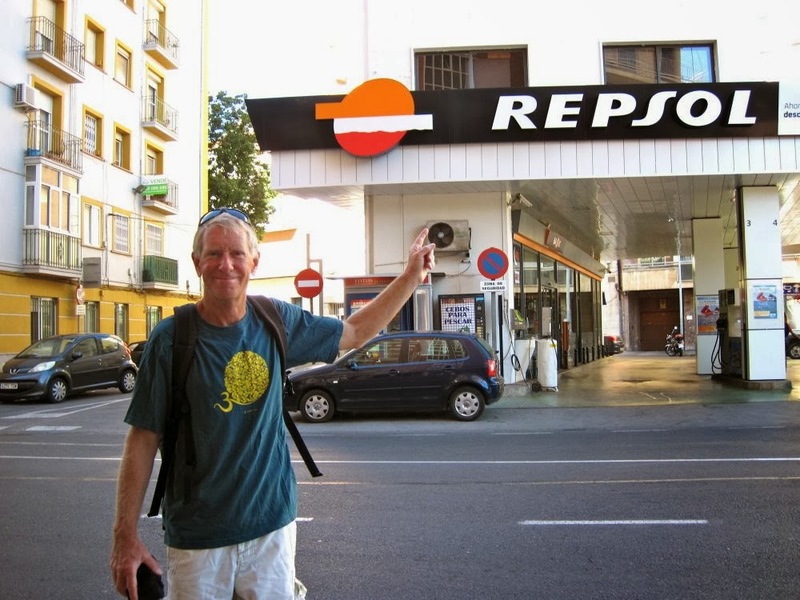 British workers live on the Spanish side because it is cheaper and with all of the comforts of Spain. The weather is changing to a more winter weather pattern with cooler nights (60 degrees) and very high humidity. We have to get south quickly before we freeze in these higher latitudes! 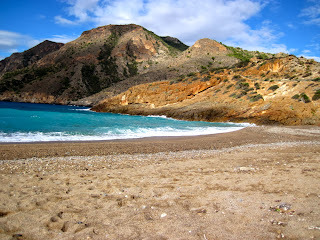 Hopefully the sea will cooperate and give us a nice weather window soon to the Canary Islands. After the voyage Columbus made to the New World the Spanish changed the words "Nec plus ultra" to: "Plus Ultra" (further beyond). The New World beckoned and voyagers took to the sea in their quest for adventure and new lands. Look at the symbol for the US dollar: $. The symbol used to have two vertical pillars (it still has one for most of us). 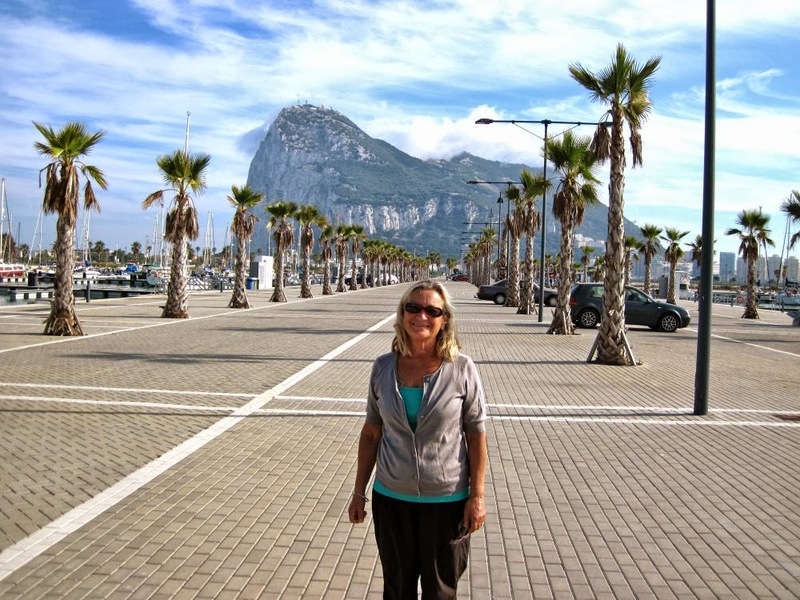 This is the symbol for the Pillars of Hercules and was taken from Spain so long ago. We also stopped at the Archives of the Indies where all of the logs and books from the voyage of discovery and settlements are kept today. They don't let people check out the books however! Aspen and her crew are on the threshold of a new adventure. 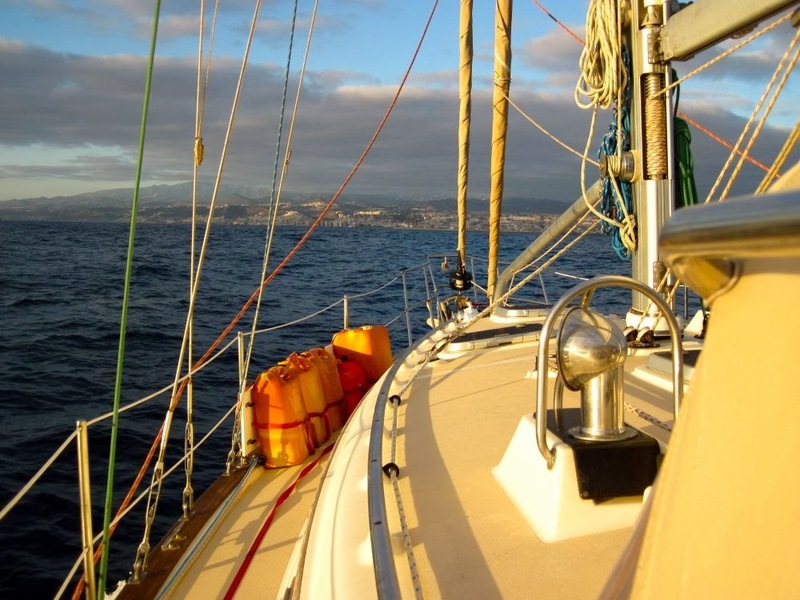 We will pass between the Pillars of Hercules and begin our journey to the New World, as sailors have done at least since the time of Columbus. 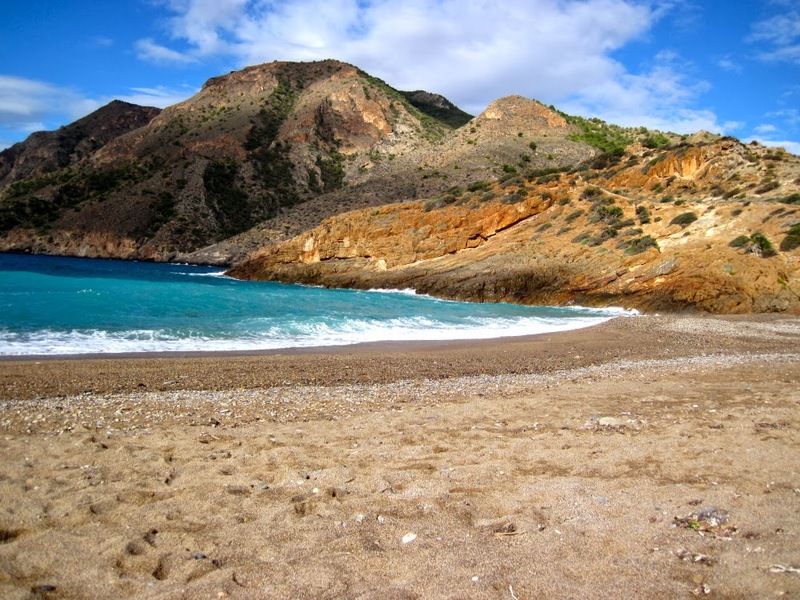 A beautiful beach near Cartagena, Spain. Look at that Geology! The view near Cartagena, Spain. 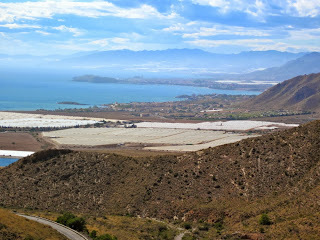 The white coverings are greenhouses for fruit and vegetables. Closer view of the vegetable production in Spain and the reason they have so many things to eat here. 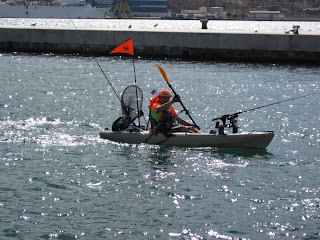 They had a kayak fishing tournament out of our marina in Cartagena. These are serious fishermen and kayakers! 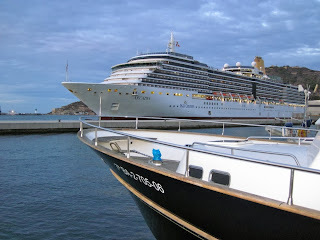 Our neighbors for the day were an Oceana cruise ship. Wow! 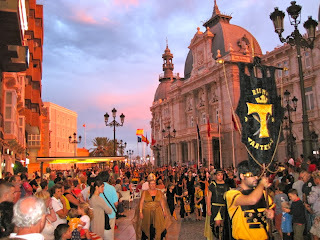 Part of the 3-day parade and celebration in Cartagena, Spain. 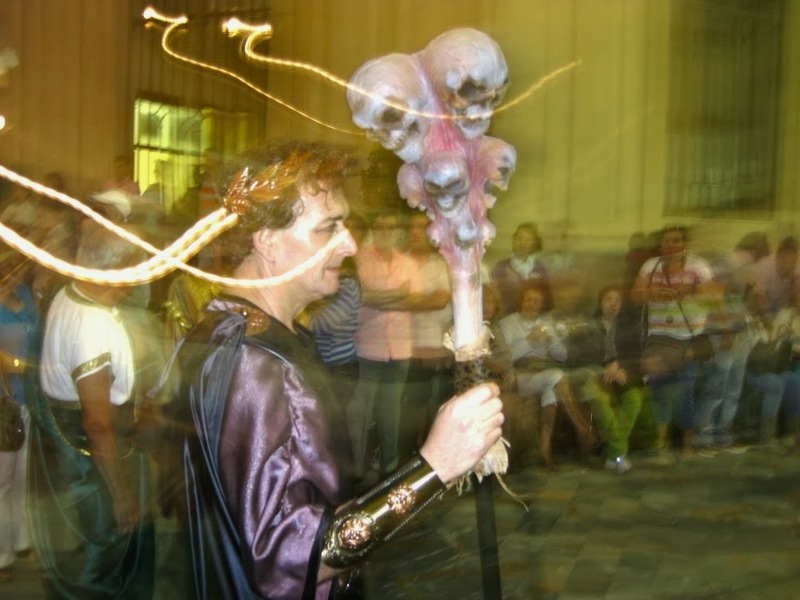 Ancient rites gone wild! Too close to the parade? Colorful parade as the sun is just setting and they are getting ready to party! Nothing much happens during daylight here. It is getting late now and the spears are getting ready to be chucked! A little eerie don't you think? 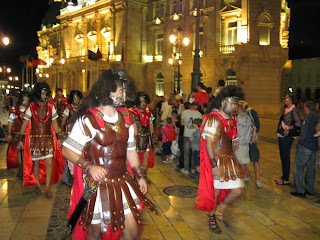 The Carthaginians on their way to victory, even though historically they lost to the Romans! The finale for the parade, flares and bacchanal in the streets! Enjoying the 7 day sail to Spain! 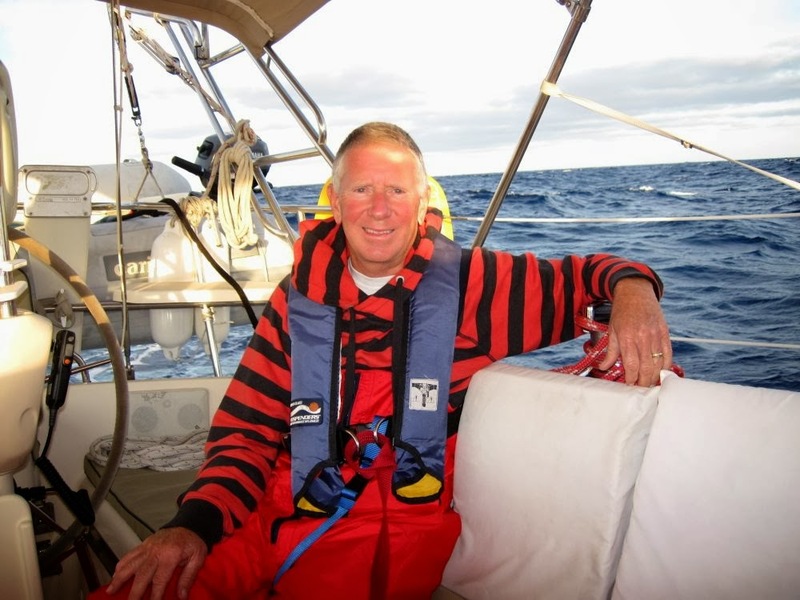 Captain Steve says, "we need wind to sail or we will run out of fuel"! 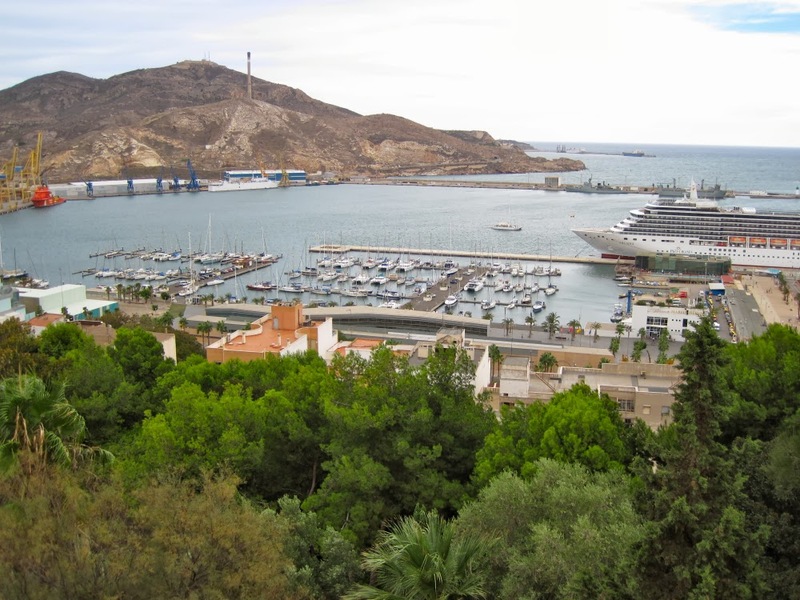 We made it to the marina in Cartagena, Spain. Wow! 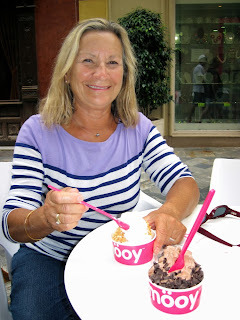 Frozen yogurt on the street. Yum Yum! 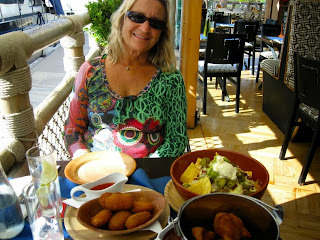 Tapas following dessert. What could be better than that?!? 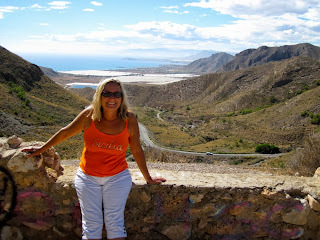 The entrance to Cartagena, Spain is in the distance. It was a long sail! No, not Cartagena, Colombia, South America (Cartagena de Indias)! We didn't get that lost yet!! 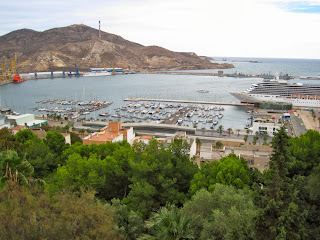 Cartagena is a huge naval port for Spain these days. 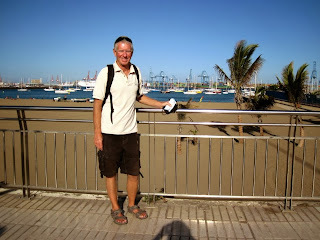 They have a great marina, a nice city to walk around in, and friendly people, most of whom don't speak much English. Our Spanish is pretty rusty and we tend to speak with a Venezuelan accent anyway I guess. 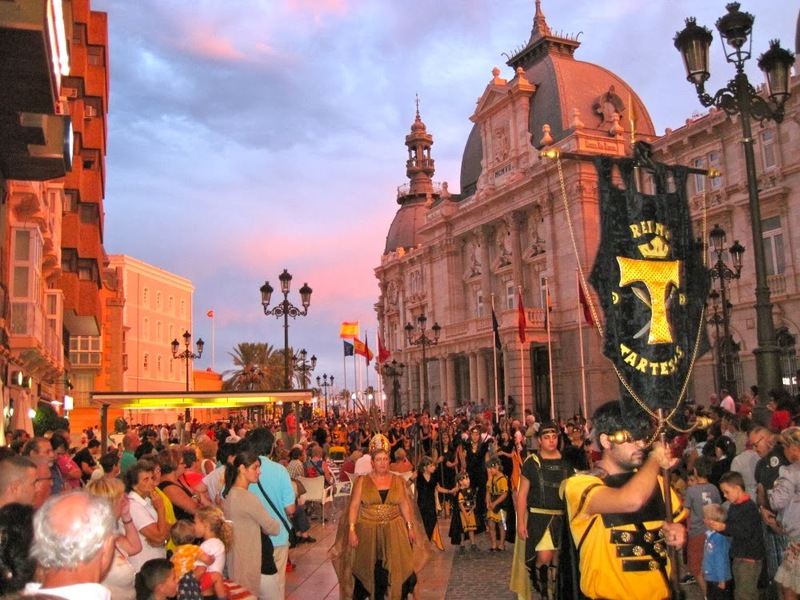 Tourism is not one of the major economies for the city so that is a pleasant surprise! 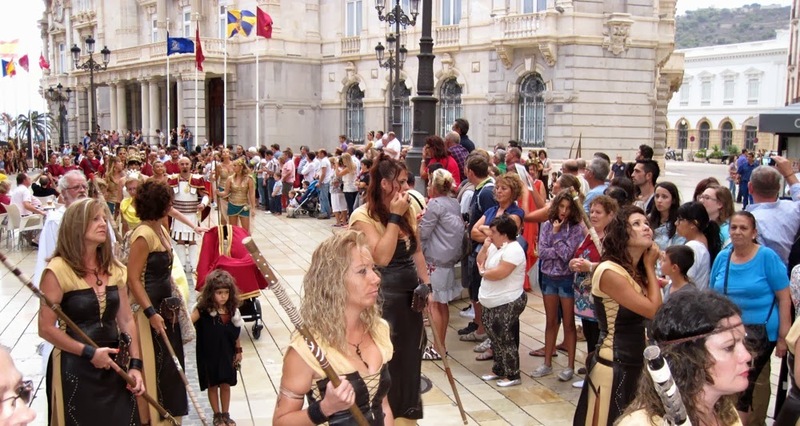 Cartagena has been occupied for more than 3,000 years, including about 200 BC when Hannibal, probably the greatest military commander in history, and his army got ready to lead the elephants over the Pyenees and Alps from Cartagena to conquer Italy. Eventually Hannibal was defeated by the Romans who used Hanhibal's own tactics to beat him a few years later! Then the Roman's then took control of Cartagena and Julius Ceasar himself established the town with all Roman rights in 209 BC. It is great to be in the land of antiquity once again! There is a huge Fort that looms high above the marina and keeps watch over Aspen. The time zone in Spain is interesting. Spain is the same time as Italy. This is like Los Angeles having the same time as Chicago. So the sun doesn't rise here until 8 AM! The streets are deserted and no one does anything until well after 9 AM. Geeeze. 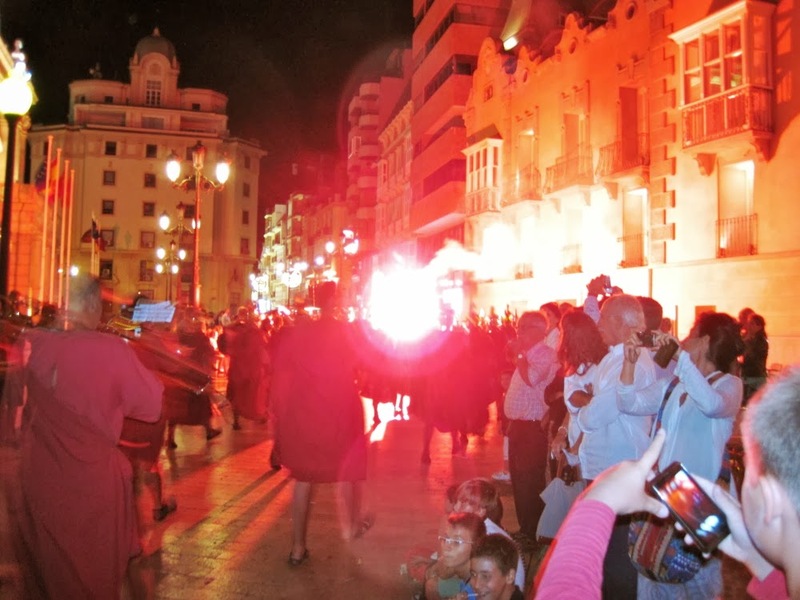 Why doesn't Spain change their clocks since their time should be the same as in England? That is simple. Spain hates England! Really. 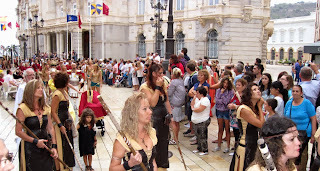 The Spanish and British fought wars for centuries and that mentality carries over to the modern era. It seems that England also sunk nearly the entire Spanish fleet way back then so that doesn't make them friends either. In one Spanish magazine they actually refer to the Brits as sexually repressed drunken royalty. Oh my! So Spain refuses to be on the same time zone as England and will greet the rising sun on their own terms, not British terms!! See what you have learned?!? Lucky us, we arrived just in time for a 4 day holiday. 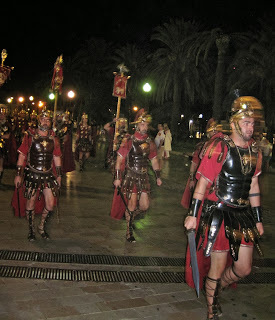 The celebration is to commemorate the fighting between the Carthaginians and the Romans. Nearly the entire town of 200,000 people dress up in ancient Carthaginian attire with swords, daggers, spears, shields, fur loin clothes and the exact clothing from so long ago. 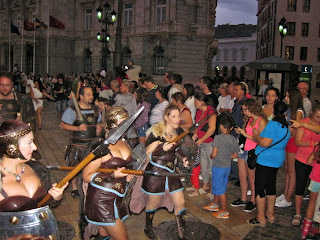 They then parade through the streets shooting fireworks, throwing spears, spitting fire and have a grand time. 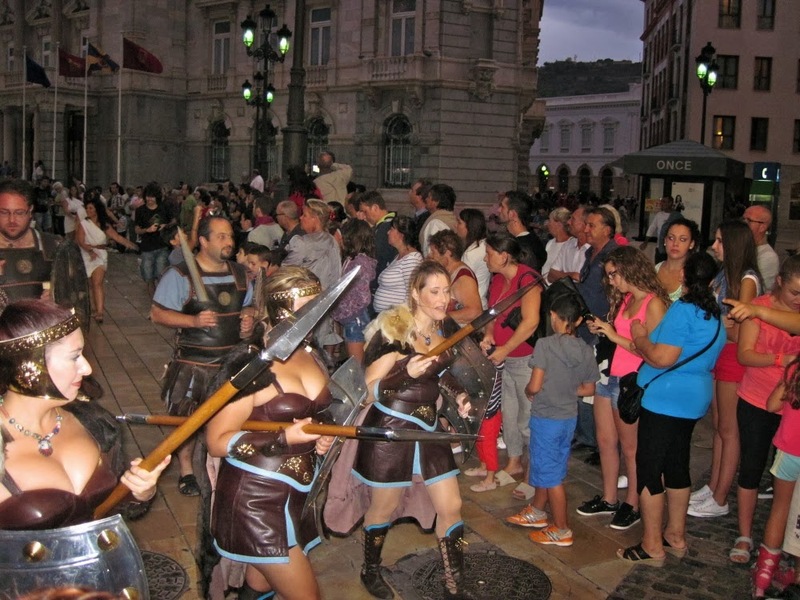 Free wine is dispensed from carts that are part of each group's entourage and offered to the spectators! We watched the parade for over 2 hours through the streets of Cartagena. 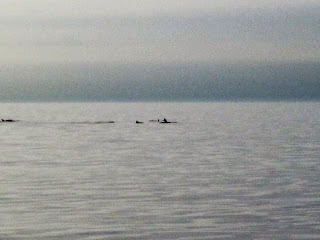 It was quite a sight as you can see from our photos! 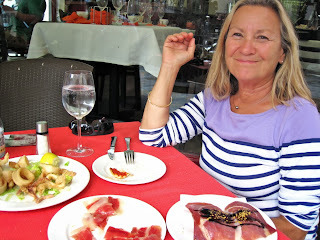 Now it is time to nourish ourselves with Spanish tapas for our meals and get ready for the sails ahead.